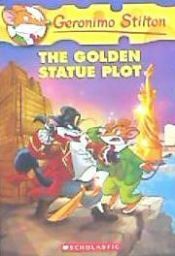 El autor de Geronimo Stilton #55: The Golden Statue Plot, con isbn 978-0-545-55629-3, es Geronimo Stilton, esta publicación tiene ciento veintiocho páginas. Enter the world of Geronimo Stilton, where another funny adventure is always right around the.. Enter the world of Geronimo Stilton, where another funny adventure is always around the corner.